This cutting-edge formula combines five advanced prebiotic ingredients to help promote a probiotic-friendly environment in your gut. By helping the “good bacteria” in your gut to flourish, PrebioThrive supports healthy digestion, energy levels, and overall feelings of wellness. By selecting the “Subscribe” box above. You agree to receive “Prebiothrive” once per month and that your credit card will be charged the amount matching your selected package size, billed to your card as “Gundry MD” You can stop shipments anytime by calling customer service at 1-800-852-0477, from 6am to 6pm PST (All terms and conditions apply). 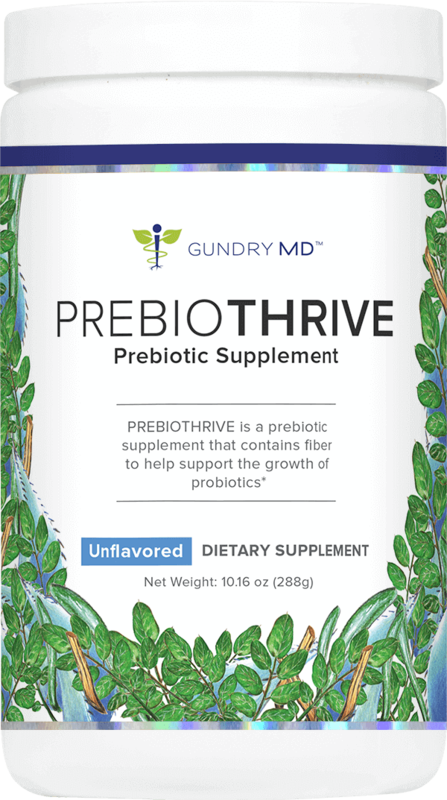 I created PrebioThrive using five of the most potent and effective prebiotic ingredients available: acacia gum, agave inulin, flaxseed, galacto-oligosaccharides, and guar gum. It’s formulated to help you enjoy improved digestion and greater feelings of overall health and wellness. Gundry MD PrebioThrive is formulated with purity in mind. 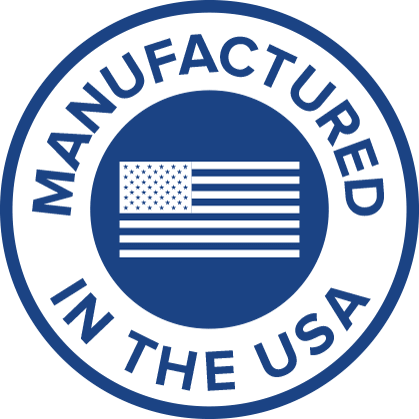 The content of every batch is formulated right here in the USA at our CGMP-certified facility — and then tested again for content, purity, and dosage at an outside 3rd-party laboratory. 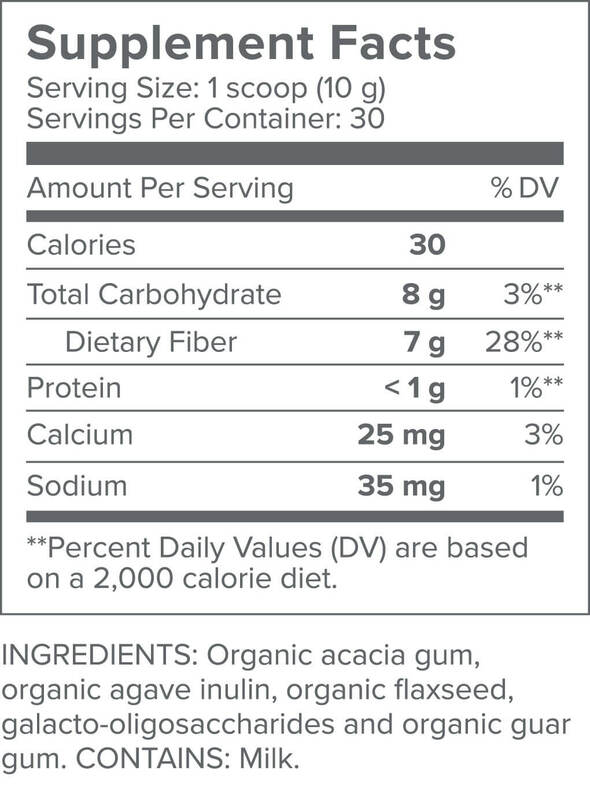 The nutritious dietary fiber-rich ingredients packed into PrebioThrive – like acacia gum, agave inulin, flaxseed, and guar gum – contain powerful prebiotics. Prebiotics, in fact, are the microorganisms that support the healthy balance of good bacteria, called probiotics, in your gut. 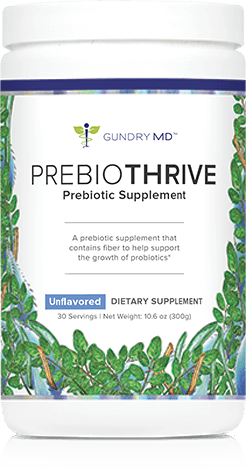 Probiotics exist and proliferate in your gut, but probiotic supplements (such as Gundry MD™ 24 Strain Probiotic) are available to protect that healthy probiotic bacteria against digestive dangers, including the modern American diet, antibiotics, and certain environmental factors. PrebioThrive, my prebiotic supplement, supports the balance of probiotic bacteria with a blend of dietary fiber to encourage digestive health and regularity. In my opinion, most people just aren’t getting enough prebiotic foods in their diet, thus have insufficient prebiotics in their gut, and that needs to change. PrebioThrive ensures that you’ll be getting your prebiotics in the right dosages to effectively make a difference. 1 Nakov G. Prebiotic Effects of Inulin and Acacia Gum. 2016. Web. 10 August 2016. Available at: https://prezi.com/buq8nhlfoyug/prebiotic-effects-of-inulin-and-acacia-gum/. 2 Tarini J, Wolever T. The fermentable fibre inulin increases postprandial serum short-chain fatty acids and reduces free-fatty acids and ghrelin in healthy subjects. Appl Physiol Nutr Metab. 2010;35(1):9-16. doi:10.1139/h09-119. 3 Goyal A, Sharma V, Upadhyay N, Gill S, Sihag M. Flax and flaxseed oil: an ancient medicine & modern functional food. J Food Sci Technol. 2014;51(9):1633-1653. doi:10.1007/s13197-013-1247-9. 4 Niittynen, Leena, Kajsa Kajander, and Riitta Korpela. “Galacto-oligosaccharides and Bowel Function.” Scandinavian Journal of Food & Nutrition. CoAction Publishing, June 2007. Web. 29 July 2016. 5Yoon SJ, Chu DC, Raj Juneja L. J Clin Biochem Nutr. 2008 Jan; 42():1-7. If you don’t feel a noticeable change in your digestion, and overall sense of health and wellness…I’ll give you a full refund. That’s how certain I am that Gundry MD PrebioThrive will create a total health transformation. If you don’t see incredible results, I’ll give your money back — and that’s my personal guarantee. Even if you’ve used up your entire supply and you’re dissatisfied — for any reason whatsoever, I’ll still return your money. My US-based customer support team will make the refund process fast, easy, and hassle-free for you. 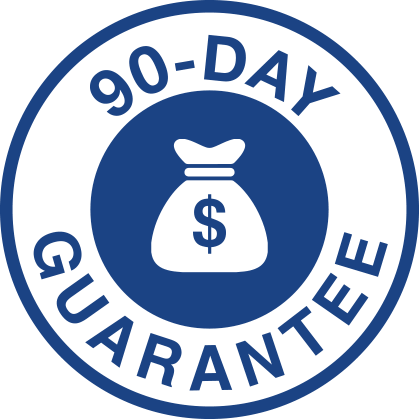 This 90-Day Complete-Money-Back-Guarantee allows you to try Gundry MD PrebioThrive with zero risk involved. HOW DO I USE PREBIOTHRIVE? Start your day off right with a scoop of PrebioThrive in the morning. PrebioThrive is a dissolving naturally-flavored mix that tastes great in water and a variety of other beverages, including smoothies. To experience the full benefits of PrebioThrive take one scoop daily with a beverage or blended drink, preferably with probiotics to create a symbiotic effect. Use it consistently for the best results. Anyone who is not eating enough prebiotic foods and not getting sufficient prebiotics in their diet. This prebiotic supplement is designed to help support digestive health and strengthen your immune system. It is perfect for anyone who wants to improve digestive comfort and feelings of wellness. PrebioThrive is a supplement, and therefore, NOT designed to treat more serious illnesses. It should not be used to replace prescription medication. PrebioThrive ingredients are 100% natural and safe. The formula is tested for quality and purity at an independent, 3rd-party facility. However, as a physician I recommend consulting with your own health care provider before beginning any new supplement. As a physician, I know that individual bodies can react differently to the very same compounds. You can read PrebioThrive reviews further down this page for first-hand accounts of how the supplement has worked for others. Even though everyone can benefit from the polyphenols and probiotics in this formula, I’m aware that results can vary. We’re incredibly proud of our industry-best customer support and equally proud of our groundbreaking supplements, which is why we back up every single one of our supplements with our 90-day customer satisfaction guarantee. If you’re unsatisfied with your results for any reason, simply contact our customer support team within 90 days of purchasing your products, and we’ll refund your purchase — no hassle, no worries. Galacto-oligosaccharides (GOS) are a group of carbohydrates that are used to improve bowel function. These prebiotics can improve mineral absorption and support your immune system.4 Some prebiotic foods rich in GOS are beans and lentils–but due to their high lectin content, it’s advisable to get GOS from the best prebiotic supplement available. Everyday:) one scoop blended in with my morning smoothie. As long as I can remember, I have always had a problem with constipation. 2-3 days after I started taking Prebiothrive, I started having daily bowel movements. I can’t tell you how wonderful it feels. Thank you Dr. Gundry. Your product worked exactly as you said it would. I was not consistent at first but the past 30 days I have been steadfastly taking morning and evening along with following Dr Guidry food pyramid. My indulgences are getting less frequent the better I feel keeping in step with my Gundry regimine. Down 6 pounds and so much easier to say no to grains. Acid reflux has lessened amongst other ailments. Although it is the holidays I have a game plan to stick with it. Dr Guidry, a question. Is there any downside to treating this product like tea and mixing it with boiling water. ”Tis cold in my neck of the woods and I quite like Prebiothrive warmed up for my morning commute. Will adding boiling water interfere with the desire effect of the product? I have been taking the above products for 2 1/2 months and I love it. I lost 12 pounds and feel wonderful! I mix the two together every morning and feel great when I get up in the morning. I recommend these products to everyone!! I take Vital Reds in the morning It is great my blood sugar is in control stays down The is the greatest product under the Sun.Thanks Dr Gundry. I’ve only been drinking the PreBioThrive for 2 days so far…in the morning before work and then in the afternoon around 4pm or so after work. 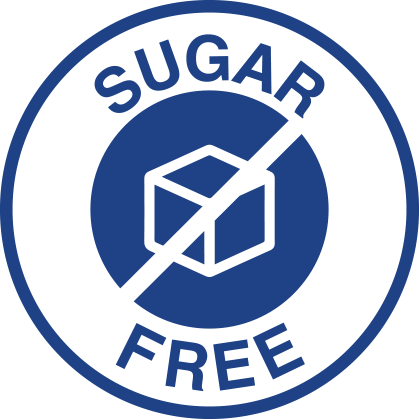 My feeling bloated has stopped already and cravings for sugary foods has certainly stopped as well! I can’t tell you how happy I am and how GREAT I feel already! Have decided to get the PreBioThrive monthly and am SUPER EXCITED about this product and it’s benefits for overall health and vitality. I was skeptical at first to say the least with ALL the products out there that DON’T work! Thank you Dr. Grundy for your hard work and dedication to helping we humans get our lives back!! I have been mixing the Preboitic powder in my water with the Vital Reds for over a month now and my acid reflux has improved immensely. Also started Dr. Gundry’s diet and by not eating the certain foods in his book, my stomach is so much happier. Glad I found you Dr. Gundry. I took this for 1 month as a trial and really did notice a difference in bloating and my digestive health. I also noted less cravings throughout the day as well as not over eating. I have lost a few pounds as a bonus! Being a cardiac patient your product caught my interest. I want to find out more about your other products. I am a senior citizen and was having trouble regulating my intestinal track. It was usually constipation or too loose. I appreciate PREBIOTHRIVE! I feel I can rely on it. 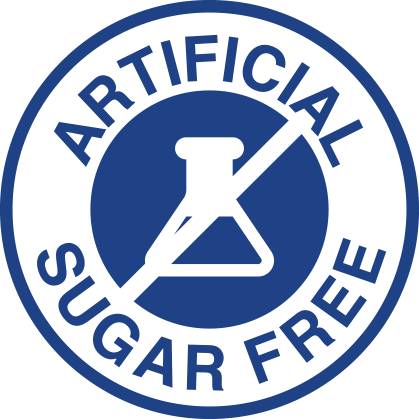 I’m satisfied that it does help reduce cravings for the wrong types of food. I ordered 3 months of this and I have never felt as much difference in a week and a half as I feel now. 5 out of 5 Fantastic Customer Service! I watched the video on this product and got excited and ordered a bunch of canisters to take this! Once I received them, I found out that one of the ingredients is derived from milk. I have a milk allergy and even though it’s a small amount in the product, I tried it and still had a reaction. I called customer service and Duane went above and beyond by apologizing that the product didn’t work out for me then refunded me the entire amount! Outstanding customer service. Prebiothrive itself is high qualitiy product and I’m very sad that I can’t take it because I had an amazing level of energy for two days when I tried it! If you have no issues with milk, I highly recommend this product to take every day for increased energy and health! I am currently on my second container of PrebioTHRIVE and can’t believe the difference. I have IBS and the bloating, gas, etc. have disappeared. Could not be happier with the results. I also use vital reds and mix the two together and drink every morning. Love the energy and overall good feeling that I get everyday by using these products. 5 out of 5 My Belly Works! Before I started Prebiothrive, I Had Diarrhea, Constipation, Unpredictable Bowel movements that made going out or on vacation Very Difficult. After Taking PribioThrive. I have had no Diarrhea or constipation and fairly predictable Bowel Movements, Gone are the Pain and bloating of my previous stomach problems and the Constipation that I suffered before. I recommend the Product Highly! I am very satisfied with the prebiothrive. It has improved my digestive system to where I have more energy. My complexion has increased and I am in a much better mood. * Every individual is unique. As such, your results can and will vary. 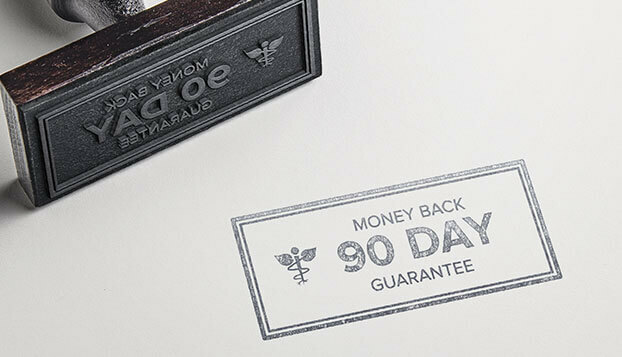 If you’re not 100% satisfied with your product for any reason, you're covered by our 100% money-back guarantee (does not cover shipping and handling) for 90 days. For refunds, contact our customer support team at (800) 255-4503 and we'll refund your purchase, no questions, no hassle.